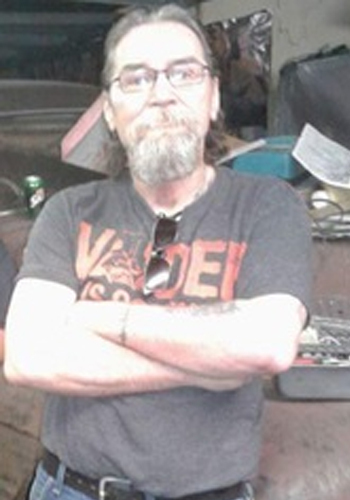 Robert “Bobby” M. Ethridge Jr., 62, passed away February 16, 2018 in Evansville. Robert was born the son of Norma Jean and Robert Ethridge Sr. on November 24, 1955 in Evansville. Bobby is survived by his children Michael Rittenberry, Marc Ethridge, Christian Ethridge, Trisha Staup-Henderson, and Stacey Stinson; siblings Jeannie Ethridge, Keith Ethridge, and Summer Pike; mother Norma Jean; grandchildren Brenden, Jillian, Michael, Kyle, Blake, Hailey, Lamont Jr., Caine, Jada, Caleb, Kada, A.J., and Desi. Memorial Visitation will be on Thursday, February 22, 2018 5 p.m. to 7 p.m. at Sunset Funeral Home. In lieu of flowers donate in Bobby’s name to the Vanderburgh Humane Society. Visitation: Thursday, February 22, 2018 5 p.m. to 7 p.m.
Funeral Service: Thursday, February 22, 2018 at 5 p.m. to 7 p.m.